Bittersweeet. For many, the CD that set me apart. The 2nd installment of the Sweeet Series this cd was originally made in 2003 and was very different then other mixtapes from that time period. Love... Listen to the radio. Everyone has a song out about it. From P Diddy to Slum Village, even the P.I.M.P. 50 cent and Snoop D O double G. Its not just pansy asses getting bucked by cupid. Nobodys safe. So this is the tape about Love - the complete soundtrack to a relationship if you will. From beginning to end. All things pretty, all the things that are ugly, and everything in between. Bitter and Sweeet. Theres a section here for your ever-changing experiences. If you want to reminisce about the 1st time you layer eyes on that girl or guy, go to part one. You want something to put you in the mood to do the hip pity dip pity, try part three. So on and so forth. So, to the very first girl that caught my eye, to the ones that shattered my soul, to those girls that never gave me the time of day, to the ones I should have treated better, and to the woman who at this moment in time is taking care of my heart - thank you for giving me my inspiration. Get Up, try again... until you get it right. And try to get some booty along the way. Sweeet . 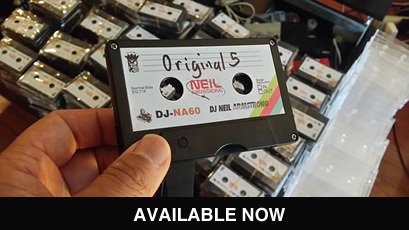 The 1st of Neil’s Lovey Dovey Mixtapes that have set a standard for good music to cupcake too. WARMFUZZY PART 2 - Another one for Valentine's Day, Sequel to the mixtape made back in 2005, with artists crossing genre's across the musical spectrum. AVAILABLE NOW IN DIGITAL DOWNLOAD FORMAT – $8.00, immediate secure download . Released in 2014, this was an answer to people who would say "There is no good music coming out right now". All the artists songs featured came out between 2008 & 2014. A valentine's day mix where all the music could have come out in the 90's . This was a Digital DL only release that was only available for free Via Stream. AVAILABLE NOW AS a Digital DL – $6.50, immediate secure download. Complete Mix in WAV Format for the highest quality, tracked out and sent as a Zip File. The 3rd Sweeet Mixtape, released initially as part of the 10 Year Anniversary Sweeet Boxset. Never released as a physical CD/USB , it's available now via Digital DL.